Musical artist, songwriter, and producer TobyMac is one of the most critically acclaimed and popular names in the contemporary Christian music sector today. The artist was born Kevin Michael Mckeehan, but his stage name stemmed form a nickname given to him in childhood, Toby, which comes from his October birthdate. The singer's musical career initially took flight as one of the founding members of the band DC Talk in 1989, along with Michael Tate and Kevin Max (McKeehan was lead vocalist for the band). DC Talk quickly enjoyed success with its fresh combination or rock, pop, and rap. The band's album "Jesus Freak" gave new meaning to the formerly derogatory term, and many contemporary Christians have since adopted the label to refer to their own faith and that of other believers with a positive connotation instead. The band's positive lyrics and fresh sound achieved them four Grammy awards for Best Rock Gospel Album and developed a huge fan following, with over seven million albums sold. DC Talk also had a substantial role in the growth of the contemporary Christian music sector with its unique sound, which drew in younger audiences eager for a new music to express their beliefs. DC is also known for its strong stance against racism and its promotion of diversity, both in the song lyrics and style and in founding the organization E.R.A.C.E (Erasing Racism And Creating Equality). With the hiatus of DC talk in 2000, the band members went forward with solo projects. Building on his success with his distinctive voice and creative musical passion, TobyMac's debut solo album Momentum (2001) was met with rave reviews and an audience eager to keep on loving the artist. Although his musical style differs somewhat from DC Talk's rap/pop/rock sound by infusing more style elements of urban, hip-hop, and funk, his commitment to issues such as promoting cultural diversity and being a living testament to his faith are stronger than ever. In fact, McKeehan has discussed multiple times in his various print and radio interviews that despite his incredible successes, he only wants his music if the heart of it is coming from God. This hard-hitting performer shares with fans that he retains a desire to be continually be molded by God for His will. Following the release of Momentum, TobayMac went on to tour and do did a remix release Re:Mix Momentum in 2003. The album Welcome to Diverse City (2004) proved even more successful and was followed by a remix, Renovating Diverse City (2005). The artist's greatest success to date is his 2007 album Portable Sounds, which sold 50,645 and achieved #10 on the Billboard 200 Chart. Tracks Made to Love and I'm for You from Portable Sounds have also achieved the status of the number one song on Christian hit radio stations and were respectively the second and third most requested songs for Christian radio for 2007. TobyMac is also the president his record label, Gotee Records, representing such hot bands such as Christian metal/rock artist Reliant K. (All of Mckeehan's albums were produced under Forefront records per his contract). He has also produced, written, and collaborated on numerous other projects, including several books (Jesus Freaks vol.1 and 2, Under God, and Living Under God'') and songs for film production. His songs have also been featured on various television, sports, film, and other media venues. You can buy the artist's cd's and MP3s at Christian Book Distributors and Amazon.com. Toby may have plenty of musical priorities on his plate, but none of them take precedence over his family. When he's not on tour, he's an active father and husband -- and despite his level of success, his humility doesn't make it hard to imagine this superstar Christian artist participating in the daily dishes, tuck-ins, and discussing how the day went for his five children -- Truett (TruDog) , Moses, Marlee, Leo and Judah -- and his wife, Amanda. McKeehan also fosters his passion for music in his children, and his eldest con Truett, also known as TruDog, has several guest appearances his albums albums. Perhaps following in his father's footsteps, TruDog already has a growing fan base among preteens and tweens. 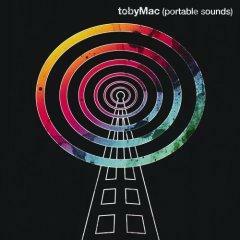 Visit www.tobymac.com for the artist's official website. Get his concert tickets and see a schedule of events at iTickets. 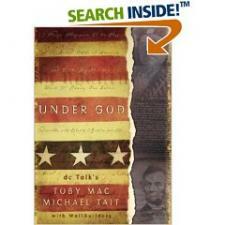 View the artist's profile and read interviews at Christianity Today. Look for Toby at ZoeCity, the 'MySpace' for Christianity!